The opening scene in Kendell Shaffer's novel Kalifornia Blu takes place late night at the Venice Skate Park where her main character, Kal, gets busted by the cops. As Kal figures out a way to deal with her situation, readers explore Venice from a teen's perspective visiting local landmarks, such as Frank Gehry's Binocular Building, and neighborhood hangouts that are more of a nod from Shaffer to her fellow Venice residents. Here she gives us the top five spots that inspired her book. "Like a teenager, Venice is going through a growth spurt and an identity crisis," says Shaffer. "The city is awkward, unpredictable and energetic. It’s a teenage city and it’s the perfect setting for my YA novel, Kalifornia Blu." Originally from Baltimore, Shaffer studied film at New York University and moved west to be in the entertainment industry, eventually settling in Venice by way of Hollywood. She produces and writes for television and teaches screenwriting to high school students throughout Los Angeles with the Writer's Guild Foundation and the Neighborhood Youth Association. When this super stylish Venice mom is not at Rose Cafe writing novels and scripts, she spends time with her family, teaches kids to dance at JillyJazz Kids at Electric Lodge, which she co-founded, and raises bees on her roof. You can learn more about your incredibly creative neighbor or stop by to say hello at kendellshaffer.com. And you can pick up a copy of Kalifornia Blu in paperback or on Kindle through Amazon.com. Have you ever had one of the hot bubbly greasy dough balls dropped into a paper bag and tossed with sugar on a hot summer day or a cold winter morning? Anytime, it’s not just the perfect taste, but the ritual of watching the donuts bathe in oil and drop hot and steamy onto the metal tray. When Kalifornia Blu is ﬁnally bailed out and hungry, there is only one thing she wants for breakfast: Mini Donuts at Zelda’s Corner. Most of Kalifornia Blu was written at the Rose Cafe but I didn’t use it as a location because it’s not the kind of place where a ﬁfteen year-old would hang out. I like a cafe where you can order food and pay for it and sit down and everyone leaves you alone. I have spent hours at the Rose Cafe on the beautiful patio. The food is yummy and the espresso is super strong. You get to see all kinds of people in there from movie stars to body builders to tourists to locals. That’s where I ﬁrst noticed the old man in white who had four inch-long ﬁnger nails painted bubble gum pink. Kalifornia notices him too. Always busy and buzzin’. Love the small hand-made places to sit and the Orange Ginger Chicken. The whole corner of Windward and Paciﬁc is very inspirational. It’s the heart of Venice. The lights, the Youth Hostel, the skateboard shops, the original architecture, and Mao’s Kitchen. Kalifornia and her pals dine in a restaurant called Ping’s Place, but the inspiration for it was Mao’s. There is nothing like jumping on a city bus to become inspired. And the Metro and Blue Buses give you a window seat to see Venice in a different light. All sorts of characters ride the bus. Lots of students who don’t drive, crazies, moms and toddlers, hipsters. You can make up tons of stories about people just by watching them for a few stops. Pretty much every time I started to write Kalifornia Blu, I'd listen to The Red Hot Chili Peppers or watch "The Adventures of Rain Dance Maggie" video which was shot un-permitted on a rooftop overlooking the Boardwalk on a sunny Sunday in July. 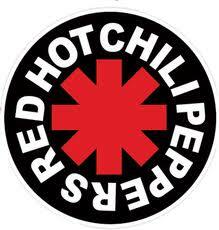 The Chili Peppers represent Venice musically to me. The rhythm and energy and their stories. I met Anthony Kiedis once as he walked up Paloma Avenue wet, wearing a wetsuit pulled down to his waist and barefoot carrying a surfboard. He was late on his way to have dinner with my then neighbor, Maggie. Red Hot Chili Peppers shoot a music video for "The Adventures of Rain Dance Maggie" on a rooftop in Venice overlooking the Boardwalk in July 2011.